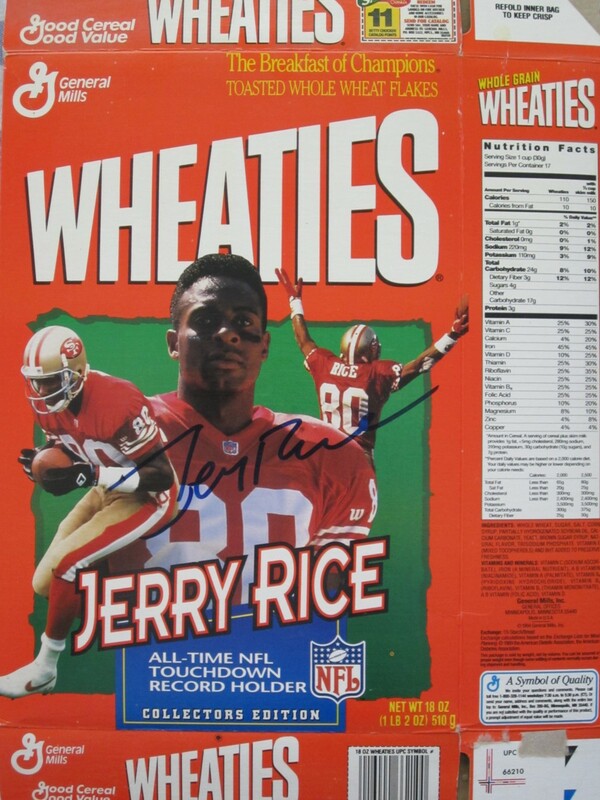 Jerry Rice original All-Time NFL Touchdown Record commemorative Wheaties box (folded flat), autographed in blue marker by Rice. ONLY ONE AVAILABLE FOR SALE. 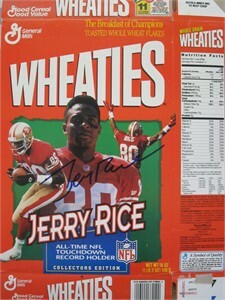 Obtained in person at celebrity golf tournament many years ago. With certificate of authenticity from AutographsForSale.com.